We’re just learning that Mazda applied for a patent for a triple-charged engine with an electric supercharger. Now the rumors will begin swirling as the automotive industry tries to predict how Mazda will utilize this latest technology. Cardinale Mazda in Salinas, your favorite Mazda auto dealer, is always excited any time that the Mazda engineers develop a new patent. What Exactly Is A Triple-Charged Engine? Your curiosity is likely piqued as you ponder the riveting development of a triple-charged engine. Basically, there are dual turbochargers at work, with an assist from an electric supercharger. Power is kickstarted in the electric supercharger which then propels the turbochargers into action, providing a significant boost of horsepower. This type of engine configuration is best suited for a vehicle that has rear-wheel drive. Is There A Mystery Mazda Vehicle In The Works? The new patent raises the question of what Mazda vehicle is likely to benefit from a triple-charged engine. Since it’s intended for a rear-wheel drive, and the Mazda Miata is too small for such an increased threshold for power, we predict a new Mazda model is in the works. No word from Mazda on what their plans are for the triple-charged engine. At this point, it is simply a patent that may or may not reach fruition. However, it’s fun to think about. Perhaps a new Mazda sports car is on the horizon — there’s already speculation that it could be an RX-8 successor. Shouldn’t You Be Driving A Mazda? Stop by and visit us at Cardinale Mazda, located at the Salinas Auto Mall. We’ve got an impressive selection of the latest Mazda models and Certified Preowned vehicles. From the best-selling 2017 Mazda CX-5 crossover SUV to the 2017 Mazda Miata MX-5 convertible, there’s sure to be a Mazda that’s perfect for you. Find out how easy it is to own a Mazda. Our Sales team and Finance department can help you drive home in a Mazda today. Often, we hear reminders to wash and wax our vehicles to keep the exterior looking like new. We know this is critical to getting the most from a future resale. However, most car owners neglect to pop the hood and do some serious cleaning under the hood. Cardinale Mazda in Salinas, located at the Salinas Auto Mall, explains why it’s important to clean your vehicle’s engine compartment and provides instructions for how you can accomplish this with relative ease. Over time, debris and grime can accumulate under the hood of your vehicle. This can be detrimental to the parts of your engine, battery and electrical wiring. For starters, accumulation of grime can lead to corrosion. A buildup of corrosion can be particularly harmful to your vehicle’s battery. It’s also difficult for you or an auto mechanic to tell if there is a fluid leak if your engine compartment hasn’t been cleaned in awhile. Think how much easier it is to spot a leak if everything is spotless under the hood. The real pay-off to a clean engine compartment is a cooler-running engine. This helps add longevity to your vehicle and we can all agree that it’s worth fifteen to twenty minutes of your time once or twice a year. For starters, always start with a cold engine. Pop the hood and remove any loose debris that is visible. You can do this by using a brush, small broom or even a leaf blower. Never hose down the engine compartment, as water can potentially harm your vehicle’s electrical wiring and components. Instead, use microfiber towels or soft rags and dip them in a mild cleaning solution. You can even use Dawn dishwashing detergent mixed with water as it will easily remove oil and grease. Be sure to wring the towel or rag, so that it is just dampened. Gently wipe down the surfaces. Inspect the battery, and use a wire brush to remove any signs of corrosion. If you don’t have a wire brush, pour a small amount of Coca-Cola on a rag and use this to wipe away corrosion. While you’re under the hood, check all your fluid levels — oil, transmission, coolant, power steering fluid, brake fluid and windshield wiper fluid. It’s also recommended that you inspect belts and hoses for any cracks, slips or leakage. 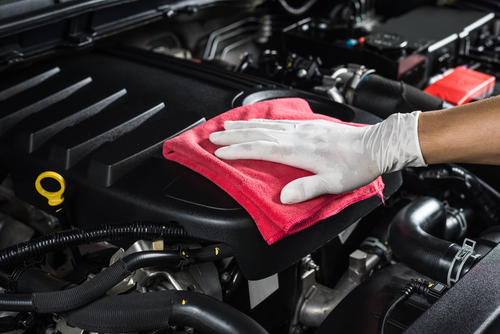 If you’re worried about cleaning under the hood, you can always bring your vehicle to our capable Service department at Cardinale Mazda. Our highly trained Service technicians will be glad to perform a professional cleaning of your vehicle’s engine compartment and check all the fluid levels, belts and hoses for you. While here, you’re welcome to browse our dealership lots. Check out the latest Mazda models, from the 2017 Mazda6 sedan to the family-friendly three-row 2017 Mazda CX-9. You’ll soon be seeing 2018 Mazda3 models rolling onto dealership lots here and across the North American market. The 2018 Mazda3 four-door compact sedan and five-door hatchback will now come equipped with more standard equipment on all three trim levels. Consumers can choose between a six-speed manual or six-speed automatic transmission. We’re excited to welcome the new arrivals at Cardinale Mazda in Salinas, located at the Salinas Auto Mall. 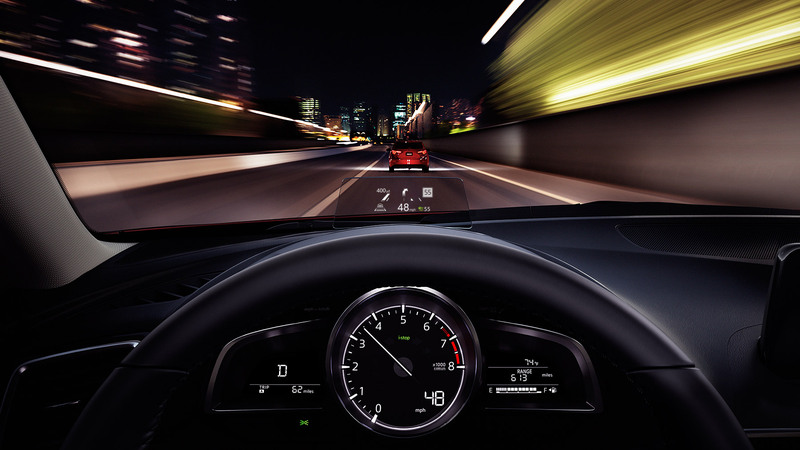 Standard equipment for the Mazda3 Sport includes features such as the 2.0-liter SKYACTIV-G engine, MAZDA CONNECT infotainment center, power windows and side-view mirrors, keyless entry, push-button start, as well as G-Vectoring Control for easier handling. For the Mazda3 Sport five-door hatchback, 16-inch alloy wheels are standard. The iACTIVSENSE safety package is extra. The 2018 Mazda3 Touring package includes the 2.5-liter SKYACTIV-G engine, leatherette seats and leather steering wheel, heated front seats, keyless entry, rain-sensing wipers, automatic climate control, automatic headlights, BOSE 9-speaker audio system, moonroof, and a power adjustable driver’s seat. Standard safety features are Rear-Cross Traffic Alert and Advanced Blind-Spot Monitoring. For the premium 2018 Mazda3 Grand Touring trim, consumers will receive the following standard equipment: leather seats, heated front seats and heated steering wheel, LED lighting, color Active Driving Display, and Mazda’s Navigation system. Additionally, the safety package is now all-inclusive and features Lane Departure Warning System, Lane Keep Assist, Radar Cruise Control, Traffic Sign Recognition and Smart Brake Support. If you’re in the market for a compact vehicle, the 2018 Mazda3 just might be what you’re looking for. Visit us at Cardinale Mazda in Salinas and test drive the 2018 Mazda3. We’ve also got a great selection of Mazda models ranging from the Mazda Miata MX-5 to the Mazda CX-5. Our friendly Sales team and Finance department will gladly assist you in finding the perfect vehicle. El Charrito, located at 122 W Market Street, has the best Breakfast Burrito in town! Be sure to get there before 11:00 a.m. so you can sample this incredibly yummy burrito. Seriously, it’s like a party in your mouth! We also highly recommend their Chile Verde Burritos. 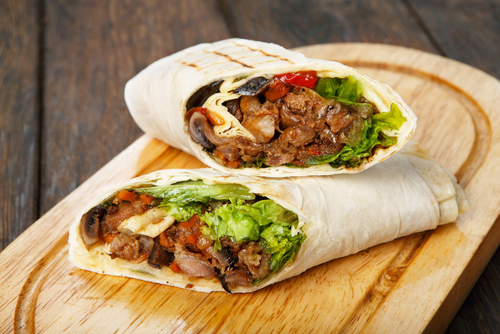 Burrito King, located at 8 Midtown Lane, is quite simply, as its name implies… King of the burritos! It’s as authentic as Mexican food can be, and the Breakfast Burritos are awesome. However, be sure to order their Carnitas Burrito with fresh avocado. So delicious, you’ll want to order more than one. Rafael Mexican Grill, located at 1927 Natividad Rd, is an absolute gem and you’ll be glad you stopped by for a burrito. We suggest their Asada Burrito, fixed to culinary perfection. Keep in mind that they service an exceptional breakfast and brunch. We predict you’ll soon be among the regular customers! Los Grullenses, located at 655 Sanborn Place, has fantastic burritos that are definitely worth craving! Get your burrito fix here, they have a great selection from the Veggie Burrito to the Carne Asada Burrito. You’ll love the Mexican ambience here. If you’re in search of a one-stop dealership that truly demonstrates customer appreciation, come to Cardinale Mazda, located at the Salinas Auto Mall. We’ll treat you right, whether you’re in the market for your next vehicle or require assistance with auto maintenance or service. Our Sales team, Finance department and Service technicians are friendly and go above and beyond to make our customers happy. We’ve got a huge selection of the latest Mazda models from the 2017 Mazda3 sports car to the three-row 2017 Mazda CX-9. The recent stunning announcement that Toyota and Mazda would join forces to build a new $1.6 billion dollar auto manufacturing plant in the United States set tongues wagging. Aside from sharing manufacturing space, what other benefits would the alliance create for the Goliath and David of the auto industry? Cardinale Mazda in Salinas, located at the Salinas Auto Mall, is tremendously excited about the bottomless opportunities that may come from this Toyota-Mazda alliance. That Mazda stands to gain the most from the Toyota-Mazda alliance is a no-brainer. Both are Japanese automakers, but Mazda is roughly one-seventh the size of Toyota. With the alliance, Mazda will realize a manufacturing plant on U.S. soil for the first time, manufacturing a yet-to-be-named crossover SUV. Further, Mazda lags behind other automakers in the development of electric vehicles (EVs). Instead, Mazda has focused their energies and R&D investment in internal combustion engines. To remain competitive, Mazda must begin producing EVs, as emissions standards are bound to become more rigid in the near future. Toyota has EV technology that it can share with Mazda to help advance its development in the EV business sector. Toyota and Mazda each bought a comparatively equal amount of the others’ shares of stock. This indicates a commitment to their future alliance. For all these reasons, we believe that the Toyota-Mazda alliance is a move in the right direction. The next time you’re in the market for a new vehicle, we hope you’ll stop by Cardinale Mazda and plan to stay awhile. Leisurely browse our dealership lot and ask our friendly Sales team to assist you. You’ll find that we have an extensive selection of the latest Mazda models, including the 2017 Mazda6 sedan and the three-row 2017 Mazda CX-9 that is perfect for families. We also have Certified Preowned vehicles for those in search of a gently used car. Don’t forget that the entire lineup of Mazda’s 2017 models received the IIHS Top Safety Pick+ rating, a feat that no other automaker accomplished! If safety matters to you, choose Mazda. Summer’s last hurrah, Labor Day weekend, is just around the corner. As American holidays go, Labor Day was originally designated to honor the workforce and give them a day off. Now it’s predominantly a three-day weekend punctuated by getaways, picnics, family reunions and a fireworks display in some cities. Cardinale Mazda in Salinas, your favorite Mazda auto dealer, suggests that this is the perfect long weekend to take care of your vehicles. From auto maintenance to an old-fashioned wash and wax, set aside time to make your vehicles a priority. Labor Day weekend is the perfect time to service your family’s vehicles. If you have an older teen leaving for college, do them a favor and get their vehicle serviced at your local car dealership. Take your vehicle in as well, and ask the Service technicians to perform an auto maintenance check-up for both vehicles. They can check all the fluid levels, do an oil filter change, inspect the tires and rotate if necessary, and check the brakes. Often overlooked, this would be a great time to replace the windshield wipers. Don’t let Labor Day pass you by without a traditional backyard cookout. Invite the neighbors and grill out, and make side dishes featuring your favorite recipes. Or, take the family, load up the car with a picnic basket and unwind for the day in a beautiful park setting. There are plenty of recreational activities you can do, and even Fido can come along! Enjoy your Labor Day weekend. Bring your vehicle(s) to Cardinale Mazda, located at the Salinas Auto Mall, for all your automotive needs. Our highly trained Service technicians have access to state-of-the-art equipment and tools. We’ll be glad to keep you on track with a regular maintenance schedule. While you’re here, be sure to browse our dealership lots. We’ve got a huge selection of the latest Mazda models, from the 2017 Mazda CX-5 crossover SUV to the 2017 Mazda Miata MX-5 convertible. The ultimate way to celebrate your Labor Day weekend? Drive home in a brand new Mazda! Zoom-Zoom. It’s no secret to the automotive industry that Mazda is a leader in innovative technology. Once again, Mazda manages to pull the proverbial rabbit out of hat with it incredulous SKYACTIV-X engine, expected to be available in 2019. Cardinale Mazda in Salinas, located at the Salinas Auto Mall, is proud to stand behind the Mazda brand. Mazda has just released details about its groundbreaking SKYACTIV-X engine, slated to be the first gasoline engine to utilize a compression ignition. According to Mazda, this engine works when “…fuel-air mixture ignites spontaneously when compressed by the piston.” In other words, it’s an internal combustion engine. Mazda has successfully engineered this proprietary engine and has high hopes for its future. The primary benefit of the SKYACTIV-X engine is that it improves fuel economy. This is achieved because the combustion engine has a “super lean burn” with estimates that fuel efficiency is 20 to 30 percent above the current SKYACTIV-G engine. Mazda cares about our environment and the well-being of its consumers. It was recently announced that Mazda has created a master plan, referred to as “Sustainable Zoom-Zoom 2030.” This is a long-range plan looking ahead to the year 2030, with goals to produce vehicles that Mazda hopes will co-exist with its people to form a more sustainable earth. This will involve reducing the carbon footprint (carbon dioxide emissions) by 50 percent by the year 2030. Soon, we will need to make room on our dealership lots for incoming 2018 Mazda models. Come to Cardinale Mazda and ask our friendly Sales team about our current specials on 2017 Mazda vehicles. Check out the 2017 Mazda3 sports car or the 2017 Mazda Miata MX-5 convertible. We have an automobile for every lifestyle and budget, including Certified Preowned vehicles. Our Finance department will help you obtain financing that’s practical and affordable. Discover the Mazda difference! We know that sushi is technically raw fish, but the culinary sensation that it creates on our palates is yum-yum — extraordinary! Order some sake to wash it down and you’ll be instantly hooked. If you love to eat sushi, Cardinale Mazda in Salinas, located at the Salinas Auto Mall, encourages you to visit any of these outstanding sushi bars. 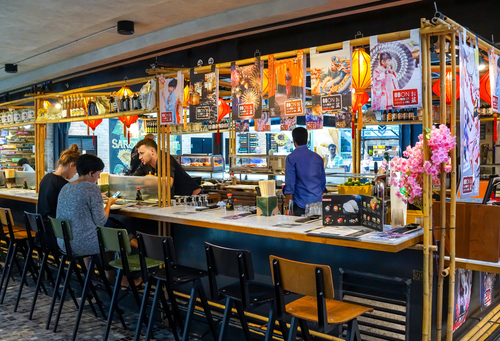 Kokoro Sushi is located at 36 W Gabilan Street, and delivers on the premise of its name, meaning “Heart, Mind and Soul.” You’ll enjoy a divine experience devouring the delectable sushi at Kokoro’s. Fujiyama, located at 1000 N Davis Road, is a Japanese eatery that offers a full menu. Of course this includes the delicacy, sushi! You can also enjoy the Hibachi Grill with freshly prepared foods. Located at 1315 N Main Street, Ikebana Japanese and Korean Cuisine is a great choice for lunch. Varied menu, including sushi, and excellent service. The Japanese and Korean dishes are second to none. Bon appetit! Arigato Sushi, located at 1740 N Main Street, is one of those gems that have you coming back for more. The sushi is fresh and delicious! Portions are generous, so be sure to bring your appetites. Last but not least, try Tsunami Sushi located at 1320 S Main Street. You’ll be glad you stopped by to sample the sushi here. Be sure to try some of their other Japanese fare as well, such as the Golden Dragon or the Chicken and Shrimp Teriyaki. After you’ve had your fill of sushi and other Asian culinary dishes, stop by and visit us at Cardinale Mazda. Our friendly Sales team can help you find the perfect Mazda vehicle. Perhaps you’d like to take the 2017 Mazda Miata MX-5 convertible for a thrill ride. Oops, make that test drive. Discover how much fun it is to drive a Mazda! It’s more affordable than you think to own a Mazda. We have a large selection of the latest Mazda models and Certified Preowned vehicles for you to choose from. We also offer a top-notch Service department that can take care of all your auto maintenance needs. Why not make Cardinale Mazda your one-stop dealership? Mazda And Toyota To Build New Manufacturing Plant In The U.S.
Mazda has announced a joint venture with Toyota to build a $1.6 billion manufacturing plant in the United States. Cardinale Mazda in Salinas, located in the Salinas Auto Mall, is excited about this new development. This is great news for the American economy. Not to mention, it’s a huge opportunity for Mazda to join forces with Toyota, another Japanese automaker. Could this be the beginning of a beautiful partnership? Although a location for the new Mazda-Toyota auto manufacturing plant has yet to be disclosed, it’s expected that the facility will add up to 4,000 jobs. This is welcome news for the U.S. business sector. The new plant will manufacturer Toyota Corolla sedans and a Mazda crossover SUV intended for the North American market. It’s expected that the manufacturing plant, slated to open in 2021, will produce up to 300,000 vehicles per year. The two Japanese automakers will split the cost of the new plant. In addition, Toyota purchased 5.05% shares in Mazda, and to reciprocate, Mazda invested .25% in Toyota stock. Mazda and Toyota are also likely to share technology, electric vehicles development and projects. This marks the first time that Mazda has manufactured its vehicles in the United States. Great things are happening at Mazda and the future looks bright. Join us in celebrating this latest milestone marking the joint Mazda-Toyota manufacturing plant coming soon to the U.S. in 2021. Stop by Cardinale Mazda and check out our impressive selection of the latest Mazda models and certified preowned vehicles. From the 2017 Mazda Miata MX-5 to the 2017 Mazda CX-5 crossover SUV, we’ve got a vehicle to for every lifestyle and budget. Ask our Sales team if you can test drive the Mazda model of your choice. Enjoy the ride! You know that panicked feeling when it’s pouring down rain as you’re driving—suddenly, your vehicle hits water and it seems like you’re about to lose control? 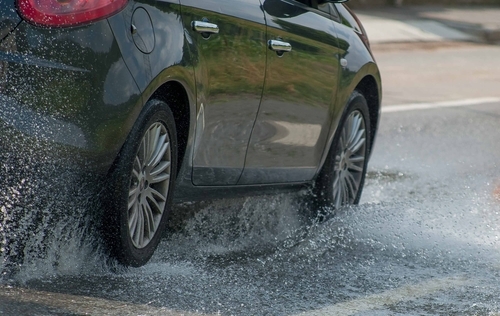 “Hydroplaning” is the term that describes what occurs when your vehicle’s tires encounter more water on the road surface than they are capable of quickly dispersing. As a result, the driver may experience complete loss of steering, braking and power control. This can and does lead to car accidents. Cardinale Mazda in Salinas, located in the Salinas Auto Mall, offers great tips for how you can avoid hydroplaning. Keep the following tips in mind the next time it rains. You might be surprised to know that you’re in greater danger of hydroplaning during the first ten minutes of a rain shower. First, if it begins to rain, turn off your cruise control, as this can contribute to your likelihood of hydroplaning. Reduce your speed on wet road surfaces. Don’t drive in the outer lanes if at all possible, as this is where more water may accumulate. Avoid slamming on your brakes—allow plenty of room between you and the vehicle in front of you. Don’t make sudden turns if the roads are wet. Probably the most important thing you can do is to make sure your tires are properly inflated, rotated and replaced as necessary. Above all else, do not panic! Although it may be instinctual to apply the brakes, this can actually be a fatal mistake. Slamming on the brakes can cause the rear wheels to lock up and send your vehicle into a spin-out. You also don’t want to accelerate as speeding up your vehicle will only make matters worse. Instead, only lightly apply the brakes, avoid acceleration and try to steer your car in the direction it’s going. Lower your chances of hydroplaning by bringing your vehicle to Cardinale Mazda, your Salinas car dealership, for routine tire maintenance. Our highly trained Service technicians will be glad to check out your tires and rotate them when necessary. When it comes time to replacing your tires, you’ve come to the right place — as we have a great selection of tires to fit every vehicle. While you’re here, why not browse our dealership lot? Take a look at our latest Mazda models such as the family-friendly three-row 2017 Mazda CX-9 or the popular 2017 Mazda CX-5 crossover SUV. Let Cardinale Mazda be your one-stop dealership!